Rosemilande came to the Fond Blanc Orphanage in 2013 from Manich and is the quietest child here. She is very sweet but oh so shy and doesn’t like to speak much until you get her talking. She has three brothers back home in Manich. She wants to be a doctor when she grows up, so she knows that she will have to study very hard in school to achieve her goals. 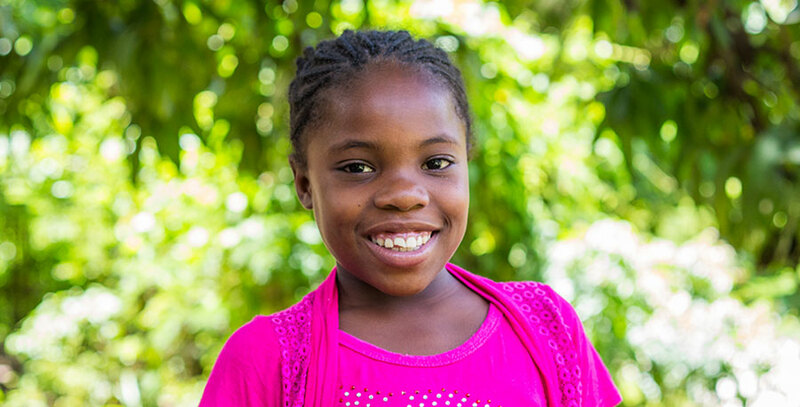 She enjoys going to school which is good because she knows she needs a good education to become a doctor. Her favorite thing to do is hang out with her friends here and attend church because she gets to sing and dance and praise Jesus with her friends. Her best friends are Laina and Marceline.